Too often we can’t see the spontaneous behaviour of horses because they are too much trained for human purposes, losing their normal behaviour and part of their individuality. Even when a horse shows something of an own intention, it is often judged upon as an attempt to undermind the horse-human interaction. 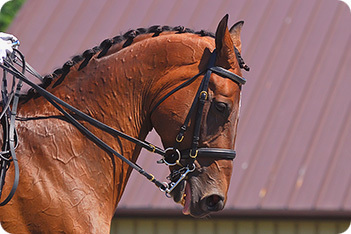 The horses’ self-expression in the relationship with human is mostly suppressed and controlled (for example moving the head while haltering or moving while saddling). 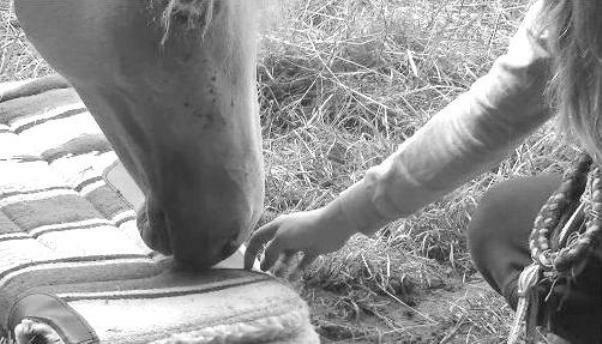 Rarely it is seen or interpretated as a moment of dialogue in which both human and horse are entering in interaction with eachother. In the zooanthropological approach and in zooanthropological equitation, it is fundamental to give the horse the possibility to express his own world and spontaneous behaviour. When we, as human, pay attention to the horse and create room for his expressiveness we start an inter-species relationship. But what are the spontaneous behaviours of a horse? 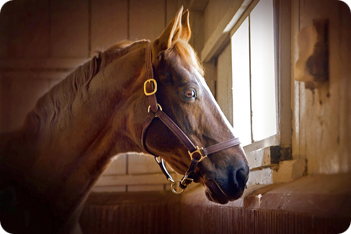 As horses are often seen as anxious, unpredictable animals, the fear to let them express themselves, convinced that this might be dangerous, actually makes them anxious and unpredictable animals. Which is a strange vicious circle. For example, the fear off being bitten by a horse makes us push away their head every time they try to understand us by smelling us from closeby or exploring us with the lips. The pushing or even harsher actions transforms that same intention for understanding into a more tensed situation. In the same way we deny them their social behaviour. In our society horses live too often in social isolation, so they can’t express themselves through social behaviour and this is something that by now we all know (even if most horses continue to live that way). 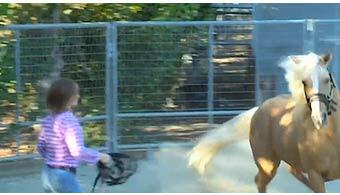 But even when they live with other horses, the groups are often not permanent, not familiar or familiar-like. 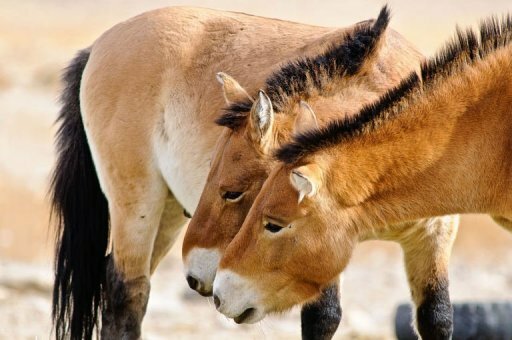 The horses in these groups change often, so even then they can‘t express themselves (in their natural cognitive way) as there interaction is often focused on defensive behaviour and not exactly social. Social behaviours are not only reactive behaviours as for example dominance/leadership dynamics, which are just short episodes in a family group. Social behaviours are subtle, small gestures and often not much visible behaviours that have an important cohesive function for a herd. It is much more then mutual grooming, which is an expressing that can also be part of an attempt to reduce tension. It is, for example, observing eachother and the herd dynamics, looking from a distance while eating grass, pre-conflict behaviour to avoid tension, smelling eachother to better understand a certain situation. 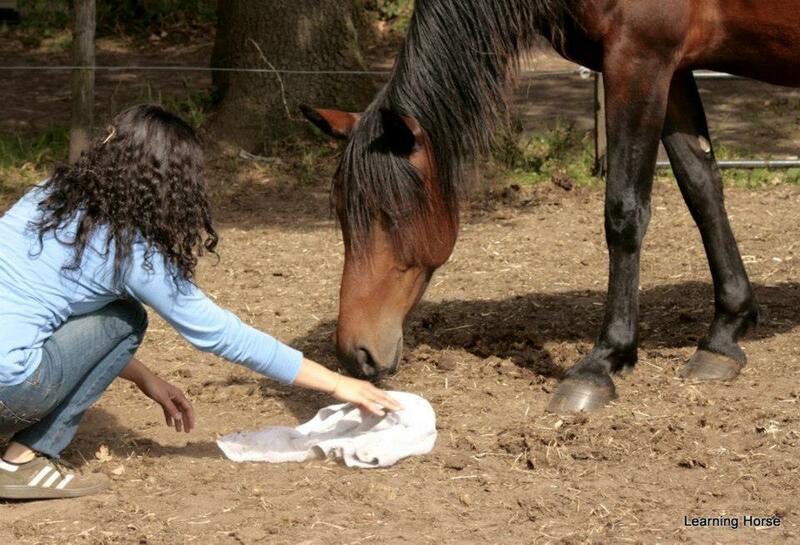 An other group of spontaneous behaviours that we deny to the horse is investigative/explorative behaviour. Fundamental for the correct development of cognitive functions. 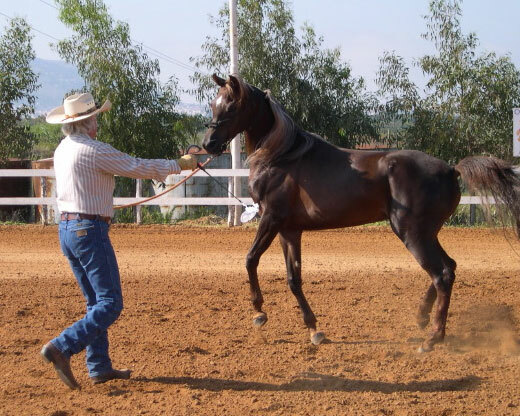 In fact people often use techniques, methods and tools that deprive the horse of the opportunity to explore his reference context, other horses, the human and himself. 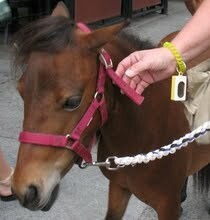 Often horse spontaneus behaviours are limited to complicated bits and bridles. The more we expect precise behaviour and complicated exercises from a horse when ridden (and not), the bigger the impediment to the expression of their own spontaneous behaviours. Spontaneous behaviours are important for the horse also when we ride it, because of this behaviours are important to improving cognitive dialogue from the saddle and reducing reactive/defensive behaviour due often to suppression of spontaneous behaviours. 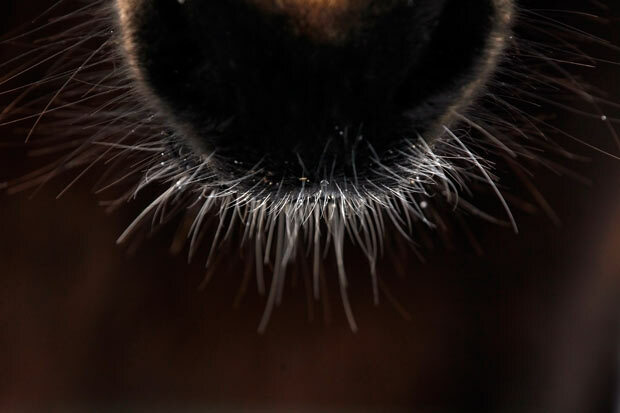 Also some grooming approaches as clipping the horse’s vibrissae (whiskers), depriving the horse to explore in appropriate way, as they are important for the sensory receptors, using his spontaneous behaviours and so inducing stress factors, in the same time reducing welfare. 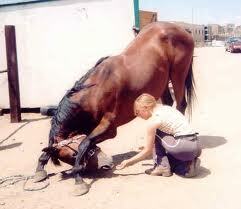 The reduction of the sponteneous behaviour often happens already during the initial training of young horses. In these moments the horses lives a strong reduction of their natural spontaneous behaviours to improve behaviour functional for human anthropocentric desires. Operant conditioning applied during these moment (with negative or positive reinforcement) drastically reducing spontaneous behaviours and so reducing equine welfare. In a different way, the zooanthropological approach facilitates spontaneous behaviours in horses, give so the opportunity to create their own mental map as social map, learning map, human-horse relationship map, using their own mental and physical capacities, without conditioning. The behaviour is an expression of a state of mind and not the result of direct automatic external or internal stimuli. The behaviouristic theories of the early twentieth century, are obsolete and we must have clear it. Attention, awareness, relaxation, contact and social interaction are keywords in a spontaneous interaction. Born in 1965 in Italy, where he is a renowned biologist, ethologist and applied behavioural researcher, Francesco De Giorgio is member of the Ethics Committee of ISAE (International Society for Applied Ethology), specialized in equine and canine ethology. He is founder, developer and facilitator at the Learning Animals | International Institute for Zooanthropology, where he focuses principally on the study of animal-human interaction, ethics, animal personal growth and rehabilitation. 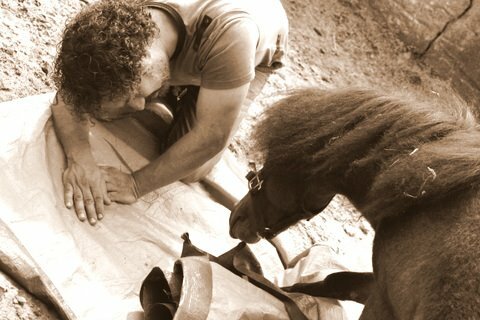 Graduating from Parma University in 1989, Francesco began his career as an independent field researcher, supporting several universities whilst indulging his lifelong passion for horses and dogs as an Equine and Canine Learning Professional – helping owners to enhance their relationships with animals. Described by International School of Ethology (Erice, IT), Director Danilo Mainardi as “a man who works with his head and his heart and his hands”, Francesco walks the talk – integrating scientific knowledge into ethical day-to-day practice. An expert in equine and canine welfare, Francesco provides expert support for institutions occupied with animal Health and Welfare (e.g. in equine mistreatment cases), has served on a number of ethics committees, and acts as an advisor to courts, police and equine rehabilitation centres. Much sought-after as both a speaker and lecturer, Francesco speaks regularly on ‘Cognitive Ethology in the Animal-Human Relationship’. He also lectures at several universities and has presented to numerous conferences and symposia on ethology, cognition and zooanthropology and published the books “Horse- Human dictionary” (in italian) and “The Cognitive Horse” (in english). Francesco’s partner in both life and work, Dutch born José Schoorl personifies the bridge between equine perception and human understanding. Their shared passion for horses and keen insight in social dynamics brought them together and today they live in the Netherlands with their eight horse companions, four dogs and two cats. After many years of change adviser and personal development consultant, she is, today, a renowned proponent of the zooanthropological approach, working for the change in awareness and understanding of the Animal-Human Relationship. As consultant and teacher at the Learning Animals Institute for Zooanthropology, José strives to improve people’s understanding of cognition and relationship dynamics, and in so doing to enhance their relationship with animals. Contending that a firm grasp of equine cognition is the vital first step to understanding horses’ behaviour, José is a real force for change; inspiring and promoting fresh thinking in her writing and in her lectures and creating effective personal growth trajectories for individuals through free interaction with horses. A regular guest lecturer and speaker in zooanthropology and personal growth, José has presented to conferences and symposia throughout Europe.